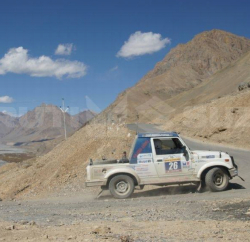 Raid de Himalaya, organiser Himalayan Motorsport is organising two-day long 3rd J&K Bank Mughal Rally in Kashmir scheduled for June 30th and July 1st. 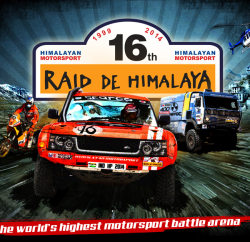 Himalayan Motorsport has already organised 13 successful editions of the Raid de Himalaya in Himachal Pradesh and core team are hopeful for the successful expedition in neighbouring Jammu and Kashmir. The event is happening on the track used by the legendary Akbar and later Mughal emperors through the sylvan Pir Panjal range of the Western Himalayas in Jammu and Kashmir, to travel from Lahore to Srinagar, and onwards to Jammu and Delhi. Many prominent names and team have ensured their participation in the event. Team Mahindra, Team Maruti and Team Tata have already picked their best possible team for the event. 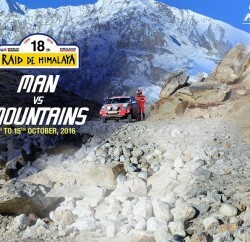 Himalayan Motorsport, which has put tough Himalayan terrain into the world map of motor sports now raring to repeat the Raid de Himalaya like success in Jammu and Kashmir as well, which is coming back to normalcy after couple of decade. Himalayan Motorsport core team comprises Vijay Parmar, Manjiv Bhalla, RS Dhaliwal and Atul Handa and was invited by the J&K Govt for organising the rally in beautiful Kashmir valley.